Children are not destructive by nature. In fact, many would say that children are . . . exploratory. A child is not born with a knowledge of right and wrong. My friend at work has four children aged six, four, three, and one. She juggles a full-time job with bringing up the four as a single parent. Being good-natured she sees her life as half full (not half empty) and tackles problems head on. Her three-year-old is an attention seeker and does things that ensures she focuses on him. When seated on his high chair for feeding he will throw his sippy-cup, spoon and fork, making her constantly bend, pick up things, and speak to him. Luckily for her she caught on quickly and one day she simply took his tray away and said “ you will not eat if you throw.” And soon he learnt that throwing did not bring attention but quite the reverse. They are like a potter’s clay willing to be shaped. 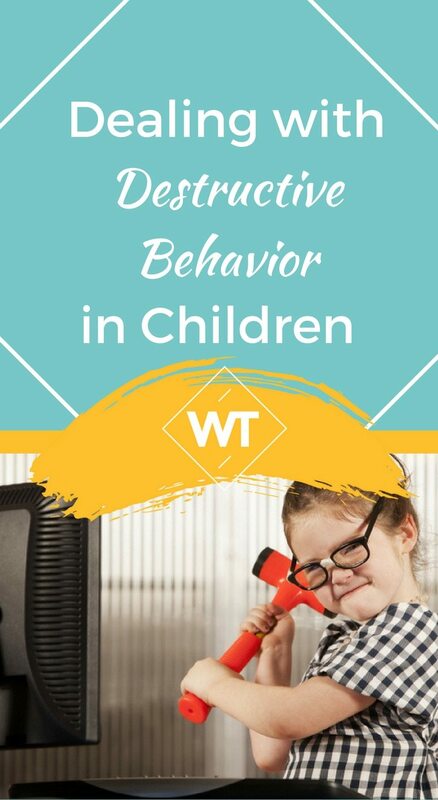 Very often a child is known to resort to destructive behavior to seek attention. On the other hand there are children who by nature display uncontrolled rage and need professional help. It is for care givers to observe a child and take steps in their formative years to instill acceptable behaviors. Every child has a unique personality and needs, so make an effort to understand a child. To prevent destruction you must childproof your home until a child learns right and wrong. Exploring, tasting, and throwing are actions by which a child learns. It’s natural for a child to chew things, learn texture through pulling, and so on. Allow the child to play with learning toys and put away toys that are fragile and ones with small parts/buttons that a child is likely to swallow or break/tear. Learn how to encourage positive behavior in a child. And always try to keep a child calm—never shout at a child after/during an event. Teach the child with love and understanding. You are the mentor and guide, so take lead. Children thrive in a routine. So, structure in their daily life is crucial to learning. Set rules for a child according to their age, learning ability and need. Choose an implementable discipline-routine. Teach the child about right and wrong. They should understand that you mean “no” when you say it. Make sure the child develops a trust in you and knows you love them. Never shout at or threaten a child. 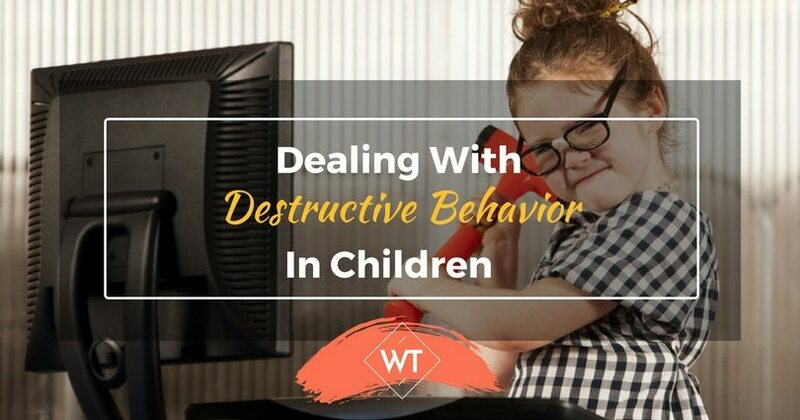 For example , if an eight-year-old persists in displaying destructive behavior, parents need to explore what is it that makes the child angry. A friend of mine found that her son was angry and upset all the time because she and her husband bickered every morning for small reasons but to the child this seemed huge and caused tensions and unhappiness. Children remain calm and collected when their parents are happy and show calm behavior, but when parents fight/argue the tensions filter down to kids. As soon as my friend and her husband put an end to the bickering, the child changed and in a few months became one that had a smile. Its about keeping a child secure and happy and many-a-time the fault lies with the parents. Many parents have used “ time outs” and taking away privileges as ways to instill an understanding of right and wrong. Choose suitable toys for the child; consider their likes and dislikes as well as their age. Make sure the toys are child-proof and have no loose parts. Make time during the day to play with and interact with the child. Speak with the child, tell stories, and play games. Watch how the child responds and make the effort to socialize the child—take them to a park or to play with other children at a community center or a friend’s home. Instill confidence and a sense of being loved. Seek professional help if the child persists in being destructive. These days many children come from well-off homes and are spoiled. A well-brought-up child is not one with possessions but one that is well-behaved and disciplined. Children need to grow up as responsible, self-assured individuals. Most destructive children are those that have no deep-seated problems. Most will change when handled with a firm hand and with consistency. It is easy to teach a child positive behavior and good behavior should be rewarded with praise while inappropriate behavior needs to be stopped immediately. Be sure to teach the child that bad behavior will have consequences and that he/she will get no new things until they behave. 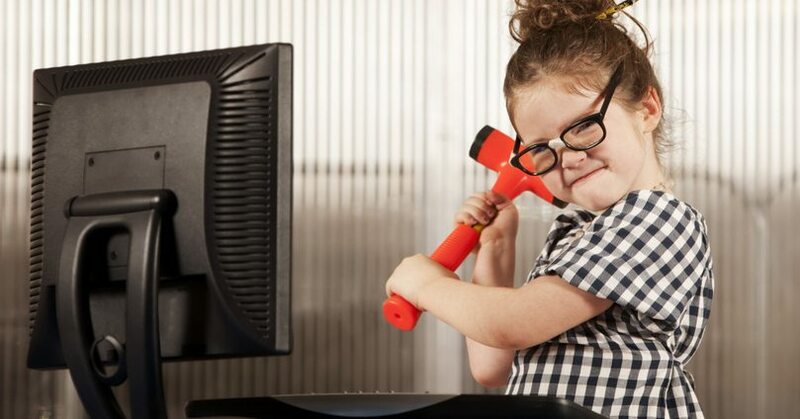 If a child hammers a new toy , take it away and let the child know that this is not acceptable. Be a loving parent and one who is concerned for the future of the child. Ahendita is an experienced writer and editor with over 30 years work experience. She has authored books, magazine articles, web content, e-books, and promotional materials.